The Singer 7258 Stylist 100-Stitch Electronic Sewing Machine would be a versatile addition to any sewing room. If you are looking for a sewing machine for quilting, Singer 7258 should come top of your list. This is because this is a sewing machine with decorative stitches ideal for quilting – it has 76 decorative stitches. You will be able to create and embellish fashions, home decor and much more. It is not only the 100 inbuilt stitches that make it outstanding, it also comes with many easy to operate features like sewing buttonholes, you can choose from 6 different styles of buttonholes including the basic bartack style, round end and keyhole, great for menswear and outerwear. This is a Singer computerized sewing machine that has automatic needle threader, the biggest sewing timesaver! Passing the thread through a needle eye, alone can take ages and this feature definitely saves time. And also being a computerized sewing machine it has a Programmable Needle Up/Down, which is a must-have for quilting, sewing appliques and even topstitching. Let us briefly look at more of the features that make this Singer sewing machine a delight to have! Also see Top 10 Sewing Machines. Singer Quantum Stylist 7258 sewing machine is a delight to have for your general sewing projects or specifically quilting. This is because it is a sewing machine with quilting features including 76 decorative stitches, programmable Needle Up/Down and more. Users and buyers reviews at Amazon.com also attest to that, that it is one of the best sewing machines for quilting and general tailoring projects. There are over 2,600 reviews on this Singer sewing machine. Most of them are positive, in fact, almost all of them say good things about it – at least 88% of the reviews give kudos to this sewing machine. A handful of the reviews, about 12% have some reservations about it. Let’s briefly look at the pros and cons. Over 200 reviews from the 2.6K say this is a sewing machine kit for beginners because it is beginner friendly. One of the features that make it beginner friendly is that it is a sewing machine with variable speed control, a huge help for someone still learning to sew. If they feel it is too fast, they can adjust the speed. 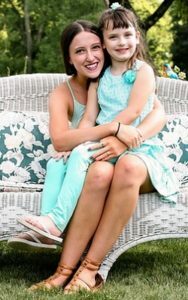 Being a quilter, some reviews show that it achieves its primary purpose without hassles. One reviewer said it can sew through 4 layers of denim with interfacings. Adding that they also make a lot of clothing from knit fabric and uses stretch stitches that come built-in the Singer 7258. Also read Best Sewing Machine For The Money. If you want to do a little bit of embroidery, then this is a sewing machine with embroidery function that can perform simple projects. It does not do digitized embroidery designs though! The 12% who had a few complaints and frustrations here and there. Some of them complained that the machine broke after 6 months of use. 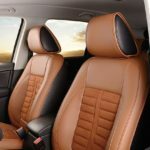 This at times a warranty can cover it depending on the conditions of the warranty. Some warranties do not cover mechanical breaking. Singer sewing machine, typically carry a 25 year limited warranty! Some complained about the bobbin winder that it can stop and cause a jam. A quick fix to this problem could be using a side bobbin winder by-passing the inbuilt one. However, this is not typical of the Singer 7258. Some users say that this problem was also experienced with Singer 7256. If you have made up your mind to buy Singer 7258, Amazon would be the best place to start looking. 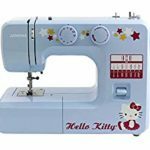 At Amazon you will find a plethora of information on this sewing machine. 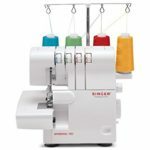 In addition to over 2.6K reviews, there at least 1000 questions and answers as an exchange from buyers and users of the sewing machine. As if that is not enough Singer 7258 price is normally cheaper at Amazon. 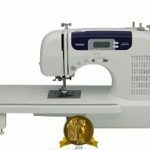 Read Best Sewing Machine For Beginners 2018.